Providing service to our community is a top priority for the McLean County Composite Squadron of the Civil Air Patrol. One of the services the McLean County Composite Squadron specializes in is a professional Color Guard that can present our National and State flag with honor and professionalism at various events and engagements. Our color guard unit is professional in both dress and execution of opening ceremonies and provides a proper representation of our National honor. 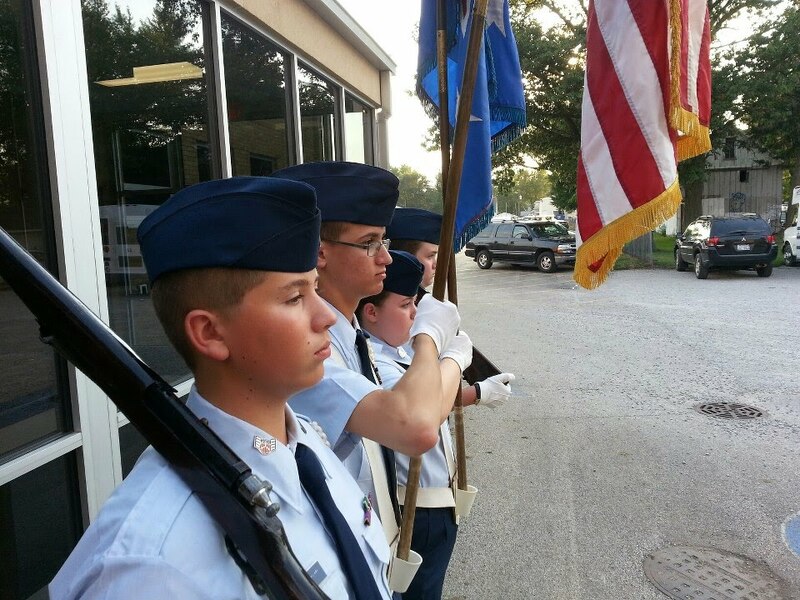 The McLean County Composite Squadron Color Guard is staffed by professional cadet members of our squadron aged 12-18. Each Color Guard team is represented on site by a member of our adult Senior Staff. 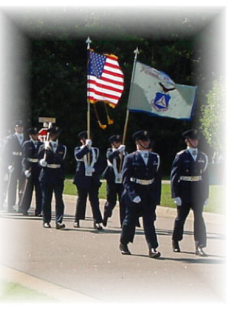 To schedule the McLean County Composite Squadron Color Guard for your upcoming event please contact Major Michael Willis at il240@ilwg.cap.gov for details.